Today I am super excited to start the first in a series of promotions I will be doing for authors! Have you heard of the FABULOUS Rebekkah Ford? 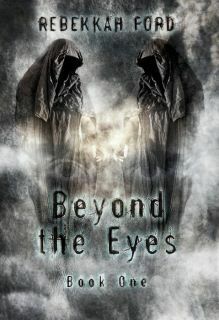 Or her FABULOUS book Beyond the Eyes? This looks like a really interesting read. Also, I just wanted to say that I love your site design. Did you do it yourself? No, I'm not that talented! LOL! A Friend did it for me. She's an awesome graphic designer for sure!